B Movie Cult: MEDOUSA - Coming Soon from Mondo Macabro! 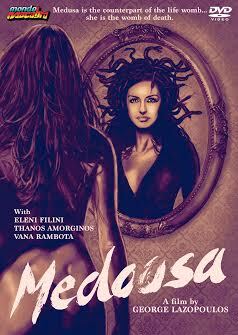 MEDOUSA - Coming Soon from Mondo Macabro! You can now pre-order MEDOUSA direct from Mondo Macabro! $15 plus shipping. Copies will be mailed out as soon as stock arrives, likely ahead of the official street date. is entirely unexpected and leads Perseus on a dangerous journey into his past. and this long overdue release announces the re-emergence of a unique film making talent.